Many types of shirts are in existence today. One of the most popular is the polo shirt. Most people can find these golf shirts in the mall, but where to buy bulk polo shirts for screen printing or embroidery? Polo shirts are typically thought to be named for designer Ralph Lauren, whose Polo line is quite popular. However, that is not so. The polo shirt is a knitted, pullover-style, sport shirt that features a rolled collar and bottoms at the neck. They are usually made from 100% cotton. You can find them in other varieties of knot such as pique, interlock, and lisle. Similar to the standard polo shirt is the rugby style. It looks much like a polo, however buttons can be replaced by a zipper and broad stripes are usually present in the shirt’s design. Another popular design is the T-shirt. The T-shirt came to be in the early 20th century, and since has become a wardrobe staple. The American T-Shirt began during WWI when troops saw European soldiers wearing the comfortable, lightweight, cotton undergarment on hot days. Since American soldiers wore heavy wool uniforms, they quickly caught on and became known as the ‘T’ shirts, or T-shirts are we call them today. T-shirt officially became a word in the 1920’s when it was included in the Merriam-Webster dictionary. And, by WWII, the Navy and Army had included them as part of standard issue underwear. From there its popularity grew and the T-shirt was no longer thought of as just an undershirt. Actors such as John Wayne, Marlon Brando, and James Dean wore them as regular shirts. By 1955, it was even considered to be ok to wear by itself without another shirt covering it. Over the years T-shirts have evolved even further. In the 60’s the tie dye T-shirt became popular. Screenprints were also fashionable. In fact, advances in printing and dying paved the way for other forms of the T-shirt such as the tank top, muscle shirt, scoop neck, V-neck, and also many others. Since T-shirts were so inexpensive, they were used to make a statement. Band and professional sporting teams began printing their logos on T-shirts, which became hot merchandise for their fans. During both the 1980’s and 90’s, T-shirts became even more popular. Types of print, as well as availability, increased. Today you’d be hard-pressed to look in someone’s closets or drawers and not find at least one. Today T-shirts can be found just about anywhere. You can buy them plain, printed, or, thanks to different companies on and off the web, you can even customize your own. Where to buy bulk t shirts for screen printing, it comes down to a few top choices. Bulk Shirts Warehouse and The T-Shirt Warehouse are some reputable companies that have been around since 1999 and over plenty of tee shirts in bulk. T-shirts are often found in a person’s wardrobe because it is fashionable, comfortable, and, best of all, affordable. 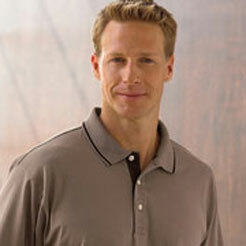 Polo shirts are also a popular wardrobe staple because its classic look works with so many different styles.